Speaker Cable Box | Custom wood specialities. Made in the USA. 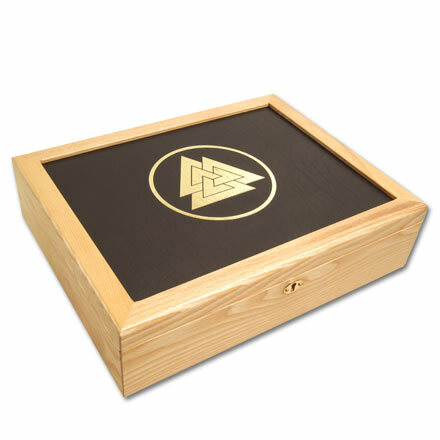 Without being loud, this solid wood box speaks volumes about product quality to purchasers of high end audio cables. 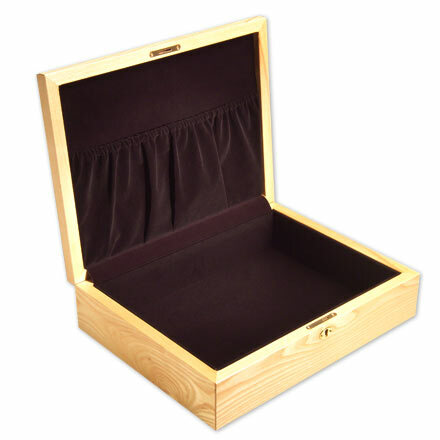 Solid Ash with an embossed leather top panel, interior mortise lock, 45 degree mitred corners and pocketed interior lid, this box was handcrafted as a sales and storage case. For audiophiles, the product's target market, it's a big hit. Made in the USA.